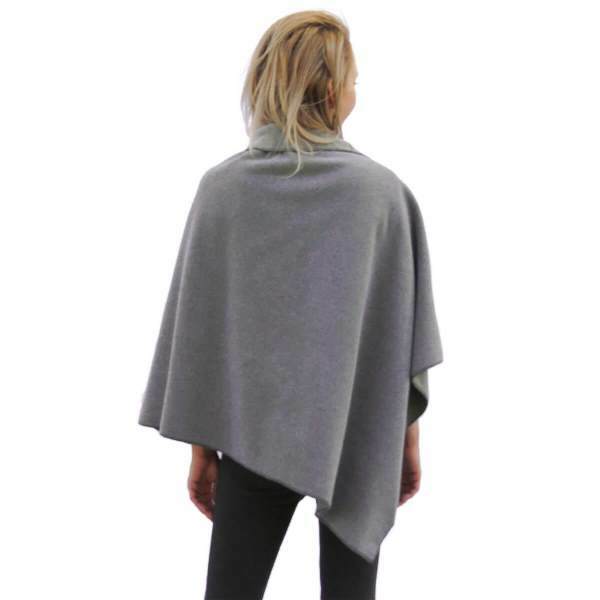 The Janska Wellness Wear Erin Poncho soft fleece wrap features a simple, versatile design. 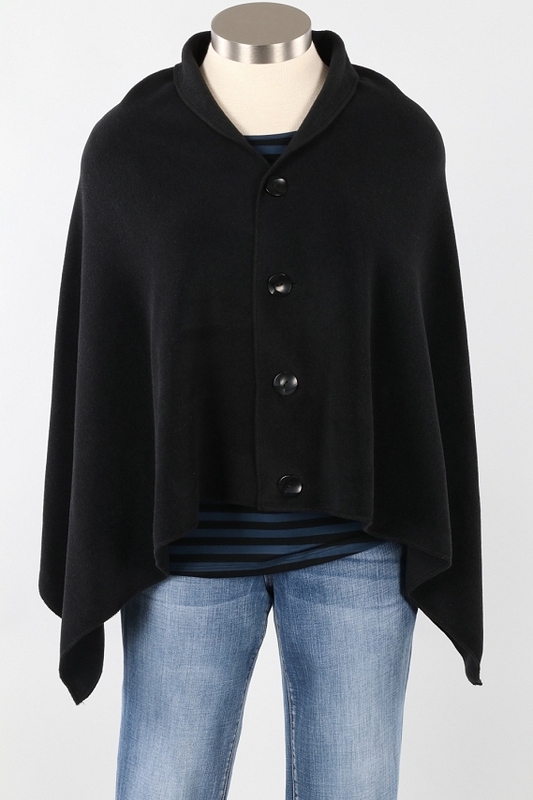 The large buttons allow this cozy wrap to be worn buttoned down the front or down the shoulder. 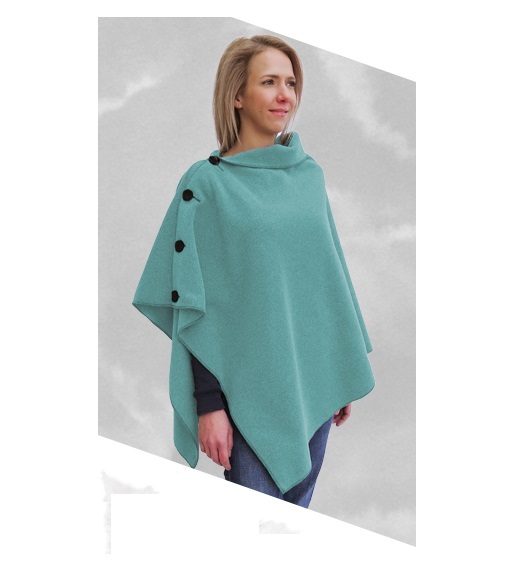 Caregivers will find this adapted poncho ideal for indoors and out, and easier to put on an take off than a jacket. 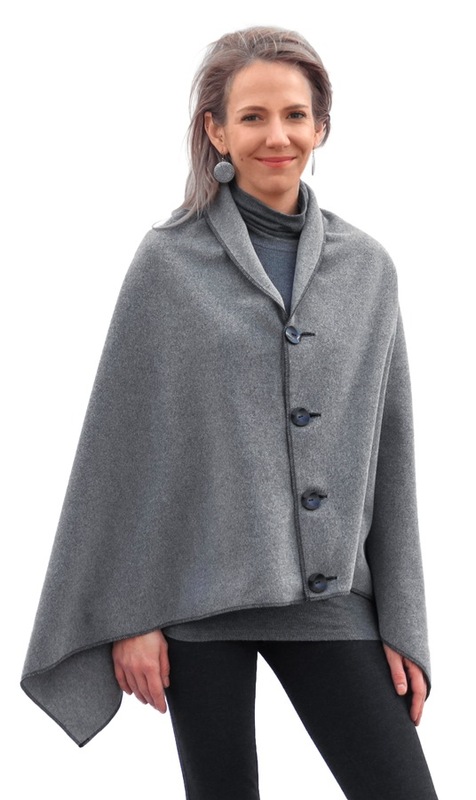 The Janska Wellness Wear Erin Poncho features a simple design with shawl collar, and four large buttons that are easy to secure. The universal size measures 28 inches long with the buttons down the center front, and 32 inches long with the buttons along the shoulder. 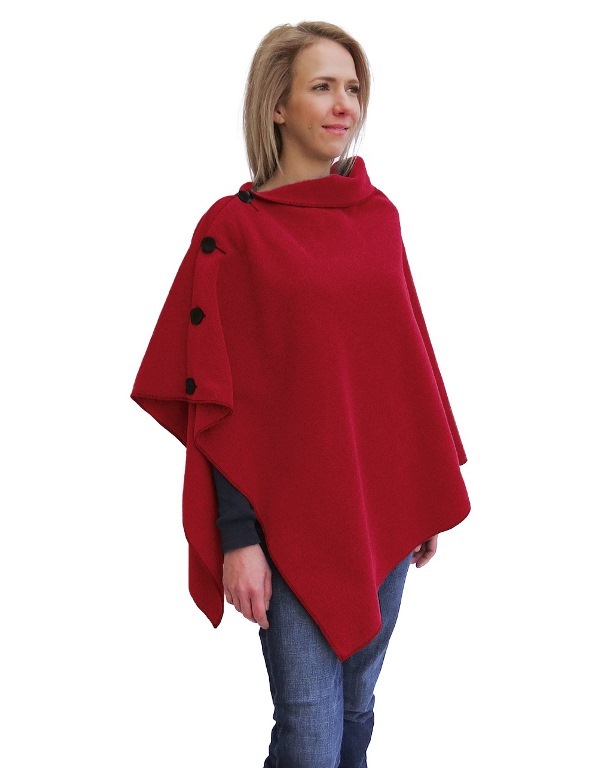 The 100% polyester soft fleece can be machine washed warm, tumble dry low. The Janska Wellness Wear Erin Poncho is available in Gray Heather. (Azure, Black, Citron, and Red by special order.) 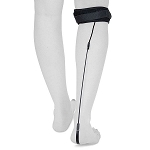 Janska Wellness Wear adapted clothing helps caregivers provide comfort for their loved ones. Size: One Size fits most measures 25-32 inches long. Measures: Center back length is 28 inches with buttons front center, 32 inches with buttons along the shoulder.